When we think of “mentoring,” it is often the one-on-one kind. 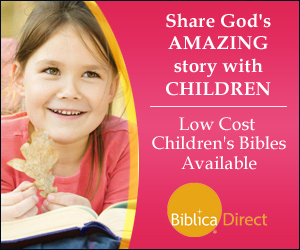 However, mentoring occurs in a variety of ways: books, conferences, Bible studies, even blogs. 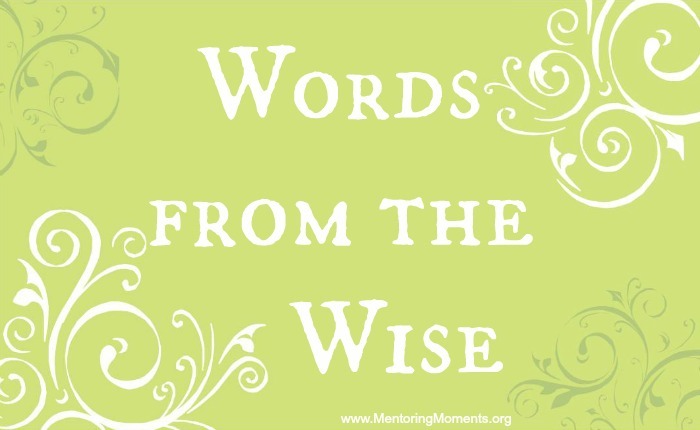 Back in 2011 Mentoring Moments started a series called Words from the Wise to highlight godly mentors. While each of these ladies may not know any of us personally, their words have impacted many of our lives. In October we are sharing the lives of godly women who exhibit the lasting fruits of the Spirit. A godly mentor lives a life filled with the fruits of the Spirit: love, joy, peace, patience, goodness, gentleness, kindness, self-control, and faithfulness. If you are looking for a mentor, start today becoming familiar with the writings of one of these women of God. You will be blessed. “Jeannette reminded all of us that God can use our lives to praise Him—even when we’re in the rapids.” If you need some encouragement today, Ms. George’s words of wisdom will bless you. “Days (and years) after she spoke, I found myself able to remember many things she said—remember and ponder them. Now I ask myself, isn’t this the purpose of a speaker? Not to thrill with eloquence nor to be what we often call “dynamic” but to implant ideas that will remain with the listener long after the speech is over.” Are you looking for a mentor who will challenge you to think deeply and ponder God’s ways? Let us introduce you to Edith Schaeffer (widow of Francis Schaeffer author of the classic How Shall We Then Live?). Edith died recently, but her words live on. “Ruth Bell Graham was a wonderful example of the legacy that a godly woman can have as she serves her family in the sphere where God has placed her.” Do you feel pulled in a variety of directions as a Mom? Learn how the wife of Billy Graham balanced her home. 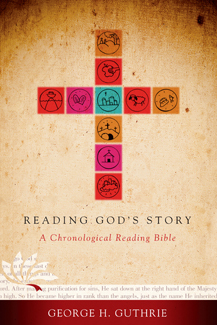 Reading God’s Story Schedule today, 10/8/13: Matthew 4:23-25, Matthew 8:14-17, Mark 1:21-39, Luke 4:31-44 .